Things are constantly changing in the real estate world. Short sales and foreclosures are handled in different ways by both the government and banking institutions. The mortgage financing options that a buyer has to choose from are modified weekly. Even market preferences – the styles and layouts of a home that homeowners prefer – which once lasted for years before new trends swept the market, now change with the seasons. With all of these moving parts and pieces in the real estate market of today, you need someone to guide you through the home buying process. 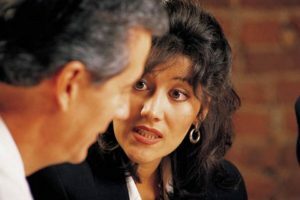 You need someone who will stay current on government and banking regulations in the mortgage industry, someone who will invest time into researching the latest financing options to determine their worth, and someone who listens to the buying public and observes retail trends in order to be knowledgeable about modern consumer preferences in a home. In short, when selecting a real estate agent, the “technical background” of the individual is critically important, and Chris Dominick has built an impressive resume in that regard. Chris has been in the real estate business since 1990. He has learned through a background in economics and finance, years of hard work, and diligent research how to help his clients find overwhelming success in the home buying process. Chris takes on-going classes on his own and through RE/MAX to stay current on the changes in the real estate market. He invests in cutting-edge technology to enhance the home buying experience and allow him to spend more time with his clients. Yet, while the “technical background” of your real estate agent is critically important, there is another aspect of the way the individual does business that is equally or perhaps even more important: his or her business philosophy. Chris cites three main components to his business philosophy: purchasing strategy, communication, and the agent-buyer relationship. When a buyer is pre-approved for a loan with a lending institution, he will be told the maximum dollar amount for which he can receive a loan. 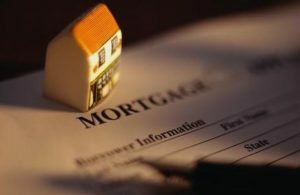 While the buyer may be able to make his monthly payments on a loan of that amount, it does not necessarily mean that it is a wise decision to purchase a home that would require the maximum amount for which the buyer is pre-approved. This is an important point on which you and Chris should agree as you begin the home search. Chris is determined to find a home that his clients will love and desire to live in for as long as they choose; however, he also believes that his clients should be able to live a comfortable lifestyle in their home. He would rather discourage you from purchasing more than you can comfortably afford and potentially lose the sale, than allow you to move forward with a purchase knowing you will be limited in your future financial choices as a result. 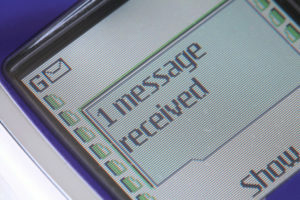 Communication in the buyer-agent relationship should not be a one-way street. Chris strives to create a level of communication with his clients in which they feel comfortable sharing their feedback at every turn in the process. Chris has seen how this honest input from his clients is crucial to finding them the home of their dreams. As a result, he views the home buying process as a team effort with his clients. Both parties need each other to be successful, and open dialogue is key. Another important aspect of the communication piece is the volume of information that is shared. Chris has assembled a team of professionals to ensure that you always understand at what point you are in the buying process, have the most current and accurate information at all times, and have your questions answered in the timeframe that exceeds your expectations. Chris works tirelessly to make sure nothing slips through the cracks resulting in a smooth and memorable journey for his clients. Chris will not say “good bye” to you when you move into your new home. The reason is that building and maintaining a long-term relationship with his buyers is more important than the individual transaction. Chris wants to know you as a friend and will take time at every step in the process to cultivate that type of relationship. Over 40% of Chris’s clients have been with him for over ten years. That is unusual in the real estate world, as buyers tend to find a new agent with each move they make. Additionally, over 90% of his business occurs as a result of referrals from current and past clients. Chris cites the reason for his high retention and referral rates as his intentionality in getting to know his clients as people rather than commission. Buying a home is an intensely personal event, and you need a real estate agent who will walk you through the experience with the care of a friend. Knowledge of the changing technical aspects of the real estate world and a tried and true business philosophy – both are necessary for you to have success in buying a home. Chris has refined both of these aspects in his twenty plus years in the real estate business and you can be assured of a home buying journey that far outweighs your expectations every step of the way. Chris will conduct a comprehensive Buyer Counseling Session prior to beginning the search for a home in which you will review the home buying process, a sample contract, and the law of agency. This discussion will be as short or lengthy as necessary to ensure your understanding of the process. Together you will discuss your financial situation, including details regarding your income and debts, cash on hand, and your ability to obtain gifts, if necessary, to determine your buying potential. Chris will review the different types of financing options available to you based on your situation. Each type of relevant financing option will be explained and discussed in detail, so that you have a thorough understanding of them. This will help you to determine which financing option is best for you. After discussing which financing possibility is best for you, Chris will work with you to determine your price range and discuss the various geographic areas of interest to you in order to narrow down the search. 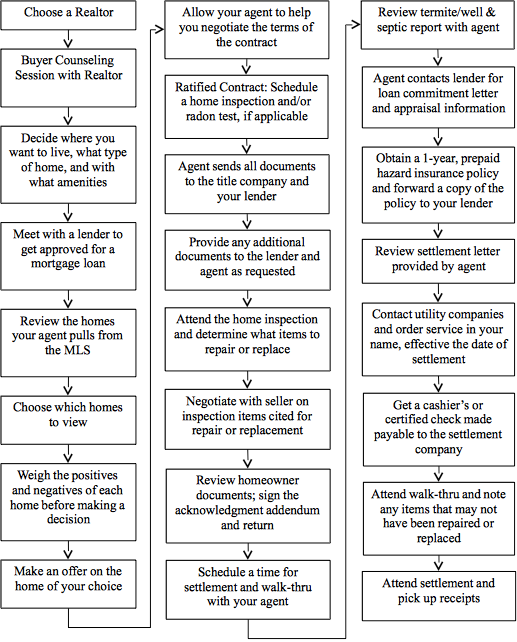 Chris will review with you a list of service providers (lenders, home inspectors, title companies, etc) whose services will be needed as you purchase your home. You may select from this list or utilize the services of a provider with whom you already have a relationship. In addition, he will review the benefits of working with reputable firms that have extended track records of success. Chris will search the MLS for homes in your price range and in the area where you want to live. 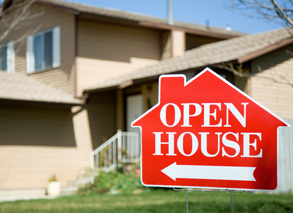 He will also set-up an automated search that will email you a set of relevant listings each day. Your input is critical to success at this stage in the process – you can help Chris by being as specific and candid as possible in describing the style of home you would like and the type of amenities you prefer. Chris will review available homes with you and take you to view those homes. After each showing, you will discuss your likes and dislikes of the home. Ultimately, Chris will help you select the homes you are most interested in, weighing the positives and negatives of each, to find the home that is right for you. Once you find a home, Chris will review sales activity in the neighborhood to get a better feel for how the home is priced compared to similar homes, how long properties in that area stay on the market, condition of the home, and other factors to help you determine the price you should offer. Any information that is known about the priorities and motivating factors of the seller will also be considered. When you are ready to write a contract, Chris will sit down with you to review all of the forms associated with making an offer on a home, including the contract, the home inspection contingency, the financing contingency, and other forms specific to your offer. Chris will contact the other Realtor to present the offer, discuss how you arrived at your offering price and terms, and demonstrate why the contract should be accepted. He will work with you if adjustments to the contract are necessary so that all parties are happy with the conditions and terms of the offer. Chris will attend the home inspection with you. You should be present at the home inspection so that you gain an understanding of the workings of the home. Additionally, Chris will use this opportunity to help you determine what items, if any, the sellers should repair or replace as part of the contract. Chris will schedule the termite inspection and appraisal of the property. Chris will send all documents to your lender and the settlement attorney and give you copies of all of documents sent. Chris will provide you with updates on the status of your loan and the progress of any repairs on the property resulting from any of the inspections. He will make sure that you are fully aware of all circumstances involving your transaction. 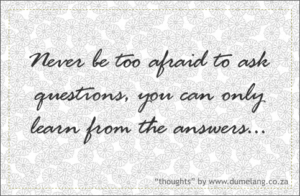 Ask as many questions as come to mind. There is no question too insignificant to ask. Discuss with Chris your financial history including details about your current salary, bonus opportunities, expectations of future raises, interest income, value of your stocks and bonds, etc., as well as your debt situation, including car payments, credit card balances, and other installment loan payments and/or alimony or child support. Determine your purchasing power by choosing a financing option and setting pricing limits that suit your budget, deciding what style of home you are looking for and in what location. Review the listings that Chris sends to you to determine if you are interested in viewing them. Visit the homes you have selected. Each home should be compared against your criteria and the knowledge that you will likely be living in this home for the next few years. You might find the home you want in one day, one week or one month, so it is important to be flexible with your expectations. Make an offer on a home that is right for you and decide if you want a home inspection, radon test, home warranty, etc. When all parties agree on the terms of the contract, attend the scheduled inspections and decide whether or not items should be repaired/replaced before you move in. Follow-up with the lender, as they often request additional information along the way to closing, up to the day before settlement. Determine if you want to lock-in or float your interest rate. Make your moving arrangements prior to settlement. Complete a change of address form with your creditors and the post office. Contact the local utility companies and put service in your name effective the date of settlement or rent back. 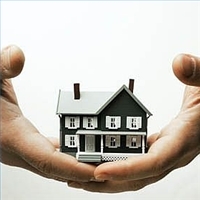 Obtain a one-year, prepaid homeowners insurance policy prior to settlement. Obtain a certified or cashiers check made payable to the title company. Attend the final walk-thru and settlement appointment. Buyer Agency*: This form of agency arises from an agreement between a purchaser and a Realtor whereby the purchaser ‘hires’ the Realtor to represent them in buying a home. Under this scenario, the selling agent is not a sub-agent of the seller and has no loyalty to them. This agent keeps all purchaser information confidential, obeys the requests of the purchaser, discloses all relevant information, finds available homes in your price range, advises you on various financing, submits your offer, becomes an advocate of that offer, and negotiates on your behalf. If you select buyer agency, you should disclose all information to the agent so that he/she can protect your interests. When a seller agrees to sell their home, they agree to allow the listing company to pay both the seller’s and buyer’s agents; therefore, the buyer does not have to compensate the agent. * Buyer Agency is the type of agency relationship that you would establish with Chris Dominick. Dual Agency: This relationship is created when a broker for the seller in the sale of a home is also working with the purchaser interested in buying that home and wants representation. Both the buyer and seller must agree to having limited representation from the agent. It is an unusual situation that can be present in many difficult situations. Most Realtors avoid dual agency, although it is completely legal and may be necessary for some transactions. 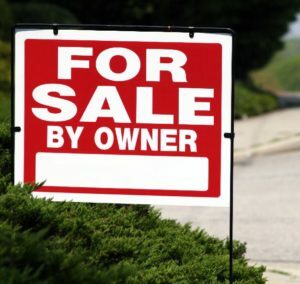 Seller Agency: In this form of agency, both the agent listing the property for sale and the agent assisting the buyer have a fiduciary responsibility to the seller and are his/her agents. The form of agency is rarely utilized in today’s market. When a seller signs a listing agreement with a real estate broker, they specify a certain fee to be paid. This fee is split between the listing agent and the buyer’s agent. Therefore, the seller pays the commission of both the listing agent and the buyer’s agent. However, even though the seller is paying the commission of the buyer’s agent, the buyer’s agent represents you, not the seller. If you do not have an agent representing you in the transaction, then the full commission usually goes to the listing agent. In this scenario, the listing agent does not represent your interests, they represent the seller’s interests. This leaves you with no one representing your interests except yourself. In summary, it is in your best interest to select a Realtor who is trustworthy and knowledgeable – you will have the greatest success in your home search and it will not cost you a penny. When you apply for a loan, you will be asked for a variety of information about yourself and your financial condition. Variable income (if any): commission, part-time income, bonus, overtime, interest income, etc. Alimony and child support (only if used for qualification): copy of divorce decree & ratified property settlement setting out terms. Proof of payment will also be requested. Retirement, social security and disability income: copy of award letter and latest check showing amount of present payment, copy of end of year statement (if applicable). Social security income will be credited on tax returns. Write down as much information as possible, or save the ad. Call Chris with the information so he can get more details for you. Do not call or approach the other agent or owner directly. Disclose immediately that you are represented by a Realtor (Chris Dominick with RE/MAX Gateway). Do not disclose any information regarding your needs, motivation, likes or dislikes. 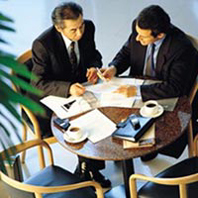 These disclosures could weaken your negotiating strength if you later decide to make an offer. If they require you to be accompanied by your agent, do not view the home. Call Chris and he will arrange to accompany you. Do not enter the sales office if they require you to have an agent present. Call Chris to set up an appointment. Because Chris shares a cooperating relationship with all real estate offices within the community, he can show you properties that are listed with him or any broker in the area. He can also assist you in “For Sale By Owner” transactions and with the purchase of a new home from a builder.